Did you hear about the stupid bank robbers in Brazil who punched through the wall of a bank and entered all dressed up in tin foil suits? They apparently thought doing so would fool the alarms. Needless to say, the complexity of this approach was probably fun to watch on the videos the next day. Speaking of complexity, let's shift to FDIC insurance. Here we begin with an example. Consider that Marci Jones has two accounts at XYZ Bank: a savings account with $55,000 and a checking account holding $25,000 for her unincorporated business (she is sole proprietor). She also has a $200,000 CD at XYZ Bank, but it was placed there in her name through her broker, to whom she gave the $200,000. How much of Marci Jones' $280,000 at XYZ Bank is covered by FDIC insurance? The answer to that question - and many others - can be found in the newest edition of the Financial Employee's Guide to Deposit Insurance, which was recently released by the FDIC. The guide provides updated information on deposit insurance, including current limits of coverage, and lays out numerous examples and scenarios to help answer questions about specific situations. In fact, the Marci Jones example above is straight out of the new guide, using a fictitious customer and bank to illustrate a point. In arriving at the answer to the question of how much of her money is covered by insurance, the FDIC notes in the guide that a sole proprietorship business account is considered to be owned individually by the proprietor and not counted as a separate business account. Similarly, the CD is considered as owned individually by Marci Jones even though it was placed by an agent. Since the FDIC considers the total of all individually owned deposits at a bank when determining insurance coverage, Marci Jones is considered to own a total of $280,000 in deposits from her three accounts at XYZ Bank. The FDIC currently insures a Standard Maximum Deposit Insurance Amount (SMDIA) of $250,000 in individual deposit amounts. That leaves Marci Jones with $30,000 in deposits at XYZ Bank that are not insured. Numerous examples like that one are scattered throughout the guide. It might seem that bank deposit insurance is fairly straightforward. After all, the FDIC insures bank accounts up to the statutory maximum. How much more can be said? Plenty it seems with enough to fill 135 pages. The new guide provides in-depth explanations of the 14 account ownership categories for instance and the 9 most-common categories, plus examples like the one above. Some of the covered topics have become increasingly important, as bank account ownership types have evolved, customer facing teams have turned over, customer risk tolerances have shifted and banks work to hold onto hard earned deposits. 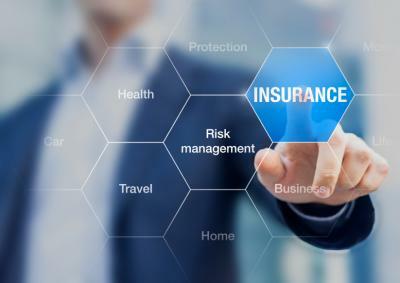 The guide provides details on insurance rules for health savings accounts, trusts, retirement accounts, business accounts, and even for accounts held by individuals who are not US citizens. There are also in-depth discussions of some tricky deposit situations, as well as simple statements of basic requirements like signage. The guide also details what is not covered by insurance, like safe deposit boxes and mutual funds. As for its structure, the guide is intended to help bankers better understand the nuances of FDIC insurance and thus be better equipped to answer customer questions. Given this update, bankers may want to go section by section, role playing with customer facing teams until everything sinks in, so have fun. Copies of the guide can be downloaded from the FDIC online site. Yields jumped 4bp, driven by a surge in new home sales to an 8Y high. Research by Infusionsoft and LeadPages of small business marketing efforts finds owners say they store contact information for leads and customers in the following ways: contacts feature of business email service like Gmail or Outlook (42%); customer relationship management tool (24%); don't keep track of this kind of information (21%); email marketing service (19%); and use a different kind of system (16%). Banks trying to protect against fraud or cyber risk may want to know this to enhance system security. Research by the EBRI on retirement finds while 67% of workers plan to work for pay in retirement, only 27% of retirees do so. Of the retirees who worked, reasons included: wanted to stay active and involved (82%); enjoyed working (80%); wanted money to buy extras (57%); needed money to make ends meet (51%); a decrease in the value of their savings or investments (43%); to keep health insurance or other benefits (32%). A CSID survey of small business owners and security finds: 58% are concerned about cyber attacks, but 51% are not allocating any budget to risk mitigation (because they do not feel they store valuable data). Of note, however, 68% said they store email addresses, 64% store phone numbers and 54% store billing addresses. NY Fed President Dudley said in an interview with the NY Times that he sees enough continued growth this year (despite early year setbacks and volatility), for the Fed to make "further moves" to "gradually normalize interest rates." He said he still expects 2 more increases this year.